Kasey Crawford Kellem, a school counselor, has devoted her life to helping others facing adversity overcome their challenges and be resilient. She earned a bachelor and master’s degree in special education and an educational specialist degree in counseling. She spent twenty-six years in education, serving as a high school and middle school counselor the latter seventeen years. Kasey is an award winning author who was featured in the 2009-2010 Authors Show, "50 Writers you Should Be Reading." 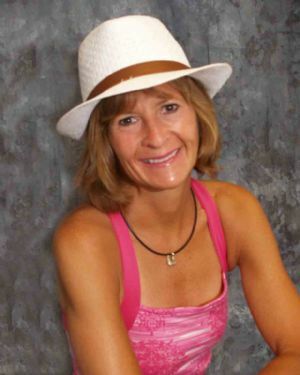 Her books include five Mind Over Matter children’s books: Believe; Love; Relax; Laugh; and Dream, along with the children's book, Bella Eve (Believe), the Bounce-Back Dog and her adult memoir, Don't Stop Believing: Our Journey with Cancer. She has been featured on several Cleveland news shows, radio specials, newspapers and on The Children's Authors Show. As a recent widow who lives with Multiple Sclerosis, Kasey role models resiliency on a daily basis. These Preschool books help children learn the following resiliency skills: Believe, Laugh, Love, Relax and Dream.